← Surprises Through the Eyes of a Runner. 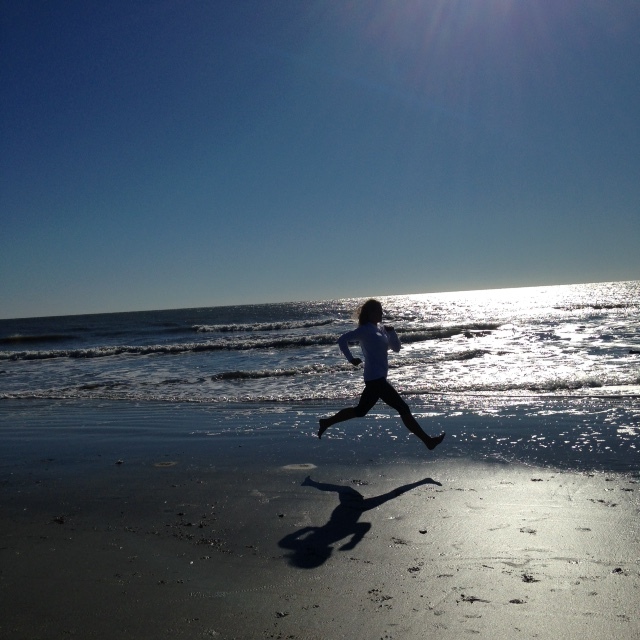 As you guys know from my running post last week, I LOVE HOLIDAY RUNNING! 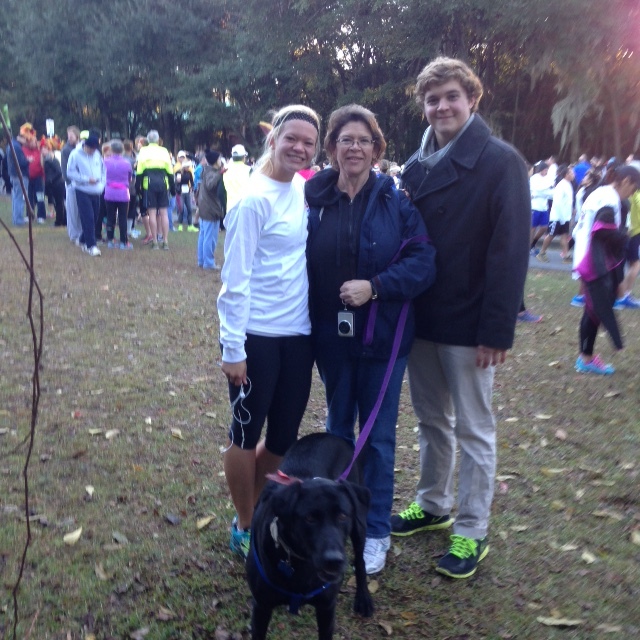 Well the crisp morning air that is the quintessential fall weather of SC and the fact I was with my family prepared me for my holiday run on Thursday. It was a super close run that was merely a short 35 minute drive to the island and the race starting point from where we were staying at my grandparent’s house. In the summers, this is such an important drive because it is what brings me to the beach!!! In the fall it is what brings me to a race, which honestly, sometimes is even better. As of the night before the race I still hadn’t decided if I would be racing the 10k or just running it. The morning of, my mother told me to race it, and you know what you do when your mom tells you to do something, you do as she says! 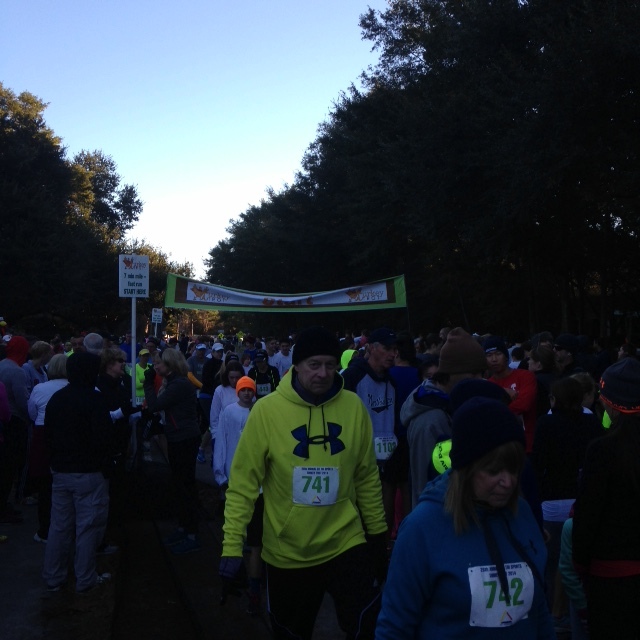 So at that point when seeing the people all lining up and getting ready and looking festive, I decided I would race it. I was going to be happy with anything sub 50 minutes, which is a completely reasonable time. But I would try my best racing and see what happened. As the announcer shouted “Go,” there were too many people around to move, but it was all I wanted to do since it was so cold! So after about a minutes push to the starting line, I was off! For the first mile and a half I was running behind this guy who looked like he was trying to impress me, which was nice because it meant I had a faster guy to pace with, but when he turned around at the 5k turn-around I was left to my own self, just feeling my body moving and trying to pace with just my breathing and foot placement. Considering I had just come from 85 degree weather and a completely different air make-up in Australia, this proved to not be as successful as I had thought it would be and my pacing was a bit faster than I had originally planned it to be. Which is probably one of the best problems to have when racing! I was feeling strong and cheering on all my fellow runners. If you have ever run a race with me, you know this is my favorite thing, sharing joy with those top AMAZING runners. You know, the ones who win races with sub 5 minute miles! Anyways, right around the 5k point I started pacing with this man for a half mile or so before we began chatting about life and the race which we continued to do for the next two miles until he pulled away to speed up for the last mile. He had informed me that he hadn’t run in the past 3 weeks due to recovery from an injury, and when I found him and his family post-race to thank him for running with me, I found out he had been out due to 3 fractured ribs!!! Nothing like almost beating your PR with 3 fractured ribs! Anyways, the end of the race was wonderful and I got this really intense second wind I don’t think I had ever felt before and ended up finishing the race in just over 47 minutes! 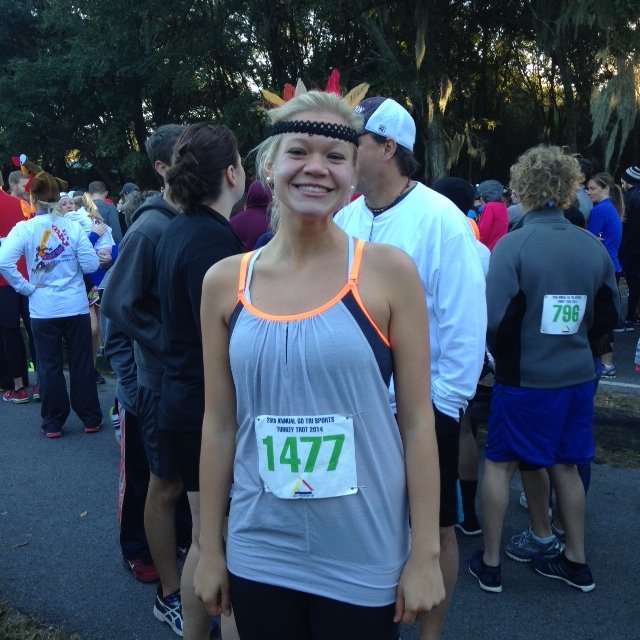 The Hilton Head Island Turkey Trot 10k is definitely a race to do if you like flat, fairly good weather, and lovely people! My only complaint was the lack of working timing computers at the end of the race, however, this isn’t truly important to me, so all in all, a great race! It was even more special since my family could be at the starting and finishing lines and then afterwards we went to the beach to run with the dog and just see the ocean!!!! 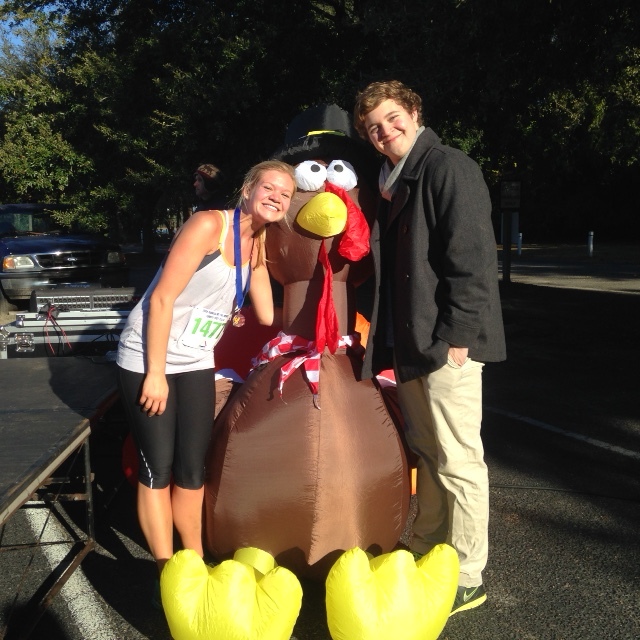 You are definitely my very favorite turkey (trotter)!